On July 24, 1915, Western Electric, a company in suburban Chicago, held an outing for it workers. They were to be taken aboard the SS Eastland for a trip from Chicago to Michigan City, Indiana. The boat never left the Chicago River. It was poorly engineered and began rock. Frightened passengers shifted to one side of the boat, and it capsized. Of the 2,500 passengers on board, 844 drowned, several complete families. In an editorial to commemorate the 100 year anniversary of the this tragedy, the Chicago Sun-Times asked why this disaster never received the attention of the Titanic. It concluded that part of the reason is social class: “The Titanic carried many passengers in society’s top tier, while most of the those who died in the Eastland were factory workers and their relatives, many of them immigrants.” We value the lives more of the rich and famous. Robin Leach taught us that. Long before him, Edwin Arlington Robinson explored the same theme in his poem “Richard Cory.” I’ve been to the section of Bohemian National Cemetery where several victims of the Eastland disaster are buried. 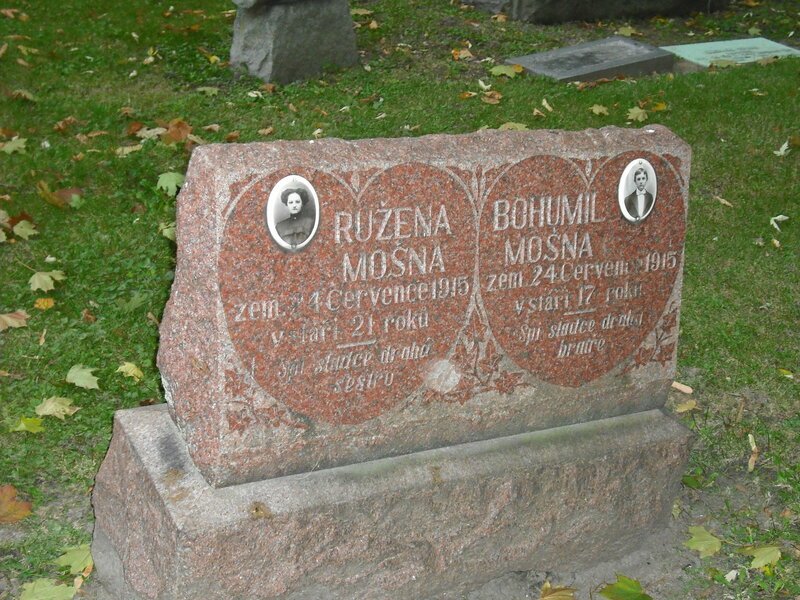 It’s shocking to look at gravestones and see the names of parents and children who all died on the same day. As the Sun-Times pointed out, their lives had value and their deaths were tragic. We need to remember that when we hear politicians demean those who work low wage jobs, including the immigrants who often do work we exceptional Americans refuse to do. Today’s Chicago Sun-Times reports that Sam Zell has donated $4 million to a PAC that supports the agenda of Governor Bruce Rauner. Columnist Mark Brown sees this donation as part of a movement that he describes this way: “Rich people, no longer satisfied with the privileges of being rich, are going for complete control.” This isn’t simply a matter of politics. Much of Governor Rauner’s agenda targets union employees. Brown quotes Zell as saying, “The 1 percent work harder.” That may be true, but in a time when most American face flat wages and poverty is growing, it’s hard to see how the hard working 1% are helping the rest of us. Working people need to decide if they support making people like Zell even richer or if they want to have a society where children from the middle class and the working class will have opportunities to be successful. Rich people have always had disproportionate control. Are we moving to a point where their voice is the only one that matters? Today’s Chicago Sun-Times features a story on United Airlines’ decision to outsource 600 jobs at 12 airports. According to a union spokesperson, employees who make $24 an hour will be replaced by those make $12 an hour. Who will be protected (at least for the time being)? Members of the union who are under contract. Outsourcing gives companies a way to cut costs through “efficiency,” which often means paying employees less. The union spokesperson cited in the article put it best when he defined outsourcing as “a race to the bottom.” Yes, big companies will save money. The outsourcing companies will hire people. But the engine of the economy consumers – working people – are being paid less. They won’t have money to buy airline tickets or cars or homes. Sooner or later, call it outsourcing, efficiency, or a race to the bottom, we will all pay the price for this kind of narrow kind of thinking. We can’t have falling wages and a healthy economy. By such logic, we should not have a minimum wage. The only thing worse than Mr. Schwartz’s logic are his facts. Low wage worker pay little or no income tax to the state and federal government. However, they do pay more in sales taxes because they will be able to buy more, which is good for low wage workers and for the economy as a whole. I don’t know why people like Mr. Schwartz are so bitter that they want to begrudge the least among us. My problem is more with billionaires and corporations who have written the tax code for their benefit. A raise in the minimum wage will be good for everyone, including the companies who will pay higher wages, because they will have more business. The idea is to bring more money into the economy, not to take it out.